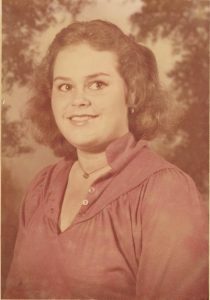 Cynthia Denise Kirby Cowart, 54, of Savannah, Georgia and wife of Thomas Anthony Cowart, died Thursday afternoon, November 22, 2018, at Memorial University Medical Center. Born in Savannah, Georgia, she was a daughter of the late Albert G. Kirby and the late Susie Belle Gordy Kirby. Cynthia was a member of Central Baptist Church in Garden City. She worked in hotel management. Cynthia loved spending time with her family, working puzzles, and cross-stitching. Surviving are her husband, Thomas Anthony Cowart; her daughter, Julie Ann Cowart; her son, Christopher Kirby Cowart; one sister, Catherine L. Kirby and her significant other, John H. Williams, Jr.; two brothers, John W. Kirby and his wife, Melissa, and Charles M. “Mike” Kirby and his wife, Sandra; her niece and nephews, Leeann Emily Kirby, John Eric Kirby and Noah Boutin Kirby, and her great-nephew, Joshua Wade Kirby. The family will receive friends from 12 until 2 Saturday afternoon, December 1, 2018, at Gamble Funeral Service – 410 Stephenson Avenue. The funeral service will be held at 2 o’clock Saturday afternoon, December 1, 2018, in the chapel of Gamble Funeral Service. Interment will be in Macedonia Baptist Church Cemetery near Statesboro. So sorry for the loss of a dear old friend . We made alot of good memories. Rest peacefully sister , till we meet again . Sending prayers for comfort to all the family.